There are millions of moments in our lifetime that we share with our spouses. We’re not always prepared for the moments that may cause our spouses pain. The most traumatizing pain is the loss of a loved one. Losing a loved one can be difficult for anyone to navigate, and watching your spouse struggle to deal with the loss of their family or a friend can leave you feeling helpless. You will be among the first your spouse turns to for comfort. It will be with your help that your spouse will learn to navigate their feeling so they can cope with their loss. Supporting your spouse through their grief is taxing but it is a part of the job description. 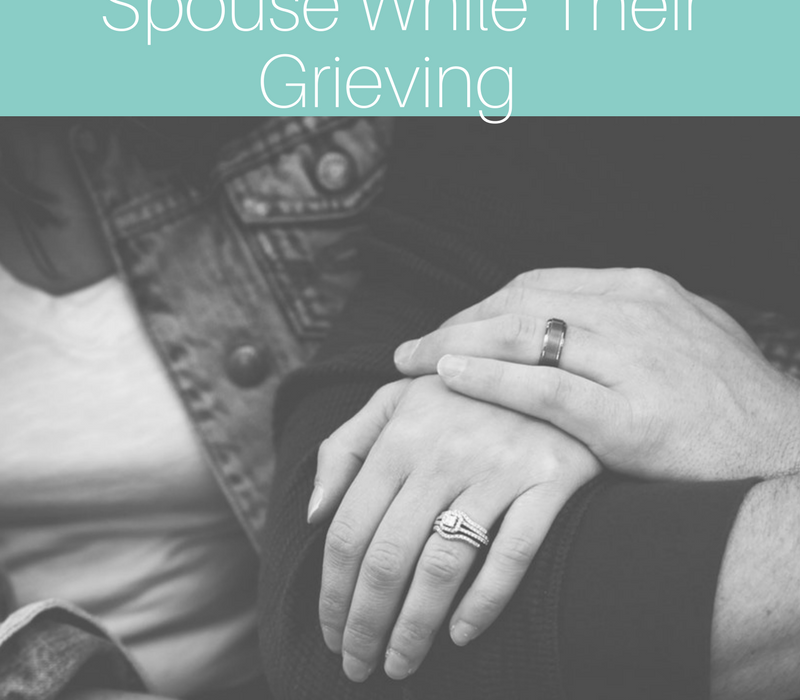 So here are 4 ways to support your spouse while they are grieving. There are not many words you can say to your spouse that will change the current situation. So it’s best to say nothing at all! It’s great that you want to talk your spouse through their heartache however, silence is golden. Simply snuggling, lounging or sitting with your spouse during their loss will allow them time to manage their emotions and process their thoughts. It would give them the quiet time needed to regroup and consider ways to cope with the loss of their loved one. It’s OK to admit that you don’t know what to say or do to make your spouse feel better. Because let’s face it, NOTHING will change the fact they lost someone dear to them. Letting your spouse know that you’re just as lost on how to navigate this life change will help them express what they need to feel comforted. Naturally, we want to fix the issues that trouble our spouses so we can make them feel better. Unfortunately, that can be difficult if your spouse grieves in different ways. Remain open to asking what your spouse may need so you can be apart of the healing process. We often say things we believe in our mind and hearts are genuine and make sense. However, once it’s said it doesn’t quite sound or seem as genuine as it did in our head. That’s usually because the person hearing it can’t feel or think past the pain from losing their loved one. Saying, “Well, they’re in a better place” or “It’s going to be OK,” could immediately invite an agitated or frustrated response because IT’S REALLY NOT OK!! Losing someone is already an overwhelming adjustment so it’s best to focus on the needs of your spouse instead of highlighting whether or not Grandpa Sunny is in a happier place. Remember, what may have worked for you if you experienced a loss may not be OK for your spouse. It really is just enough to be by your spouse’s side from the moment they find out, to planning the arrangements, attending the services and burial and the days afterward. You being there during this difficult time is mostly all your spouse really wants from you. In a nutshell, try your best to be as emotionally supportive as possible. Allow your spouse to cry as often as they need to and vent or talk about the person who passed on when they want. Being a safe haven is going to be key to helping your spouse cope.